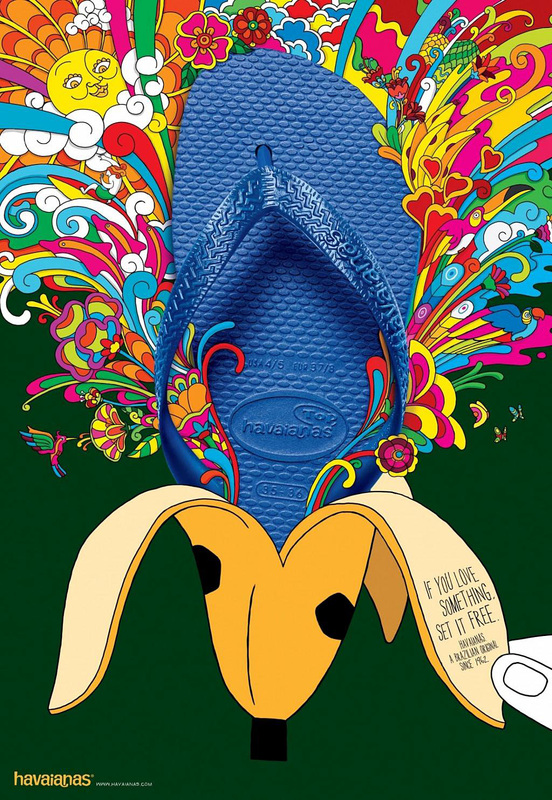 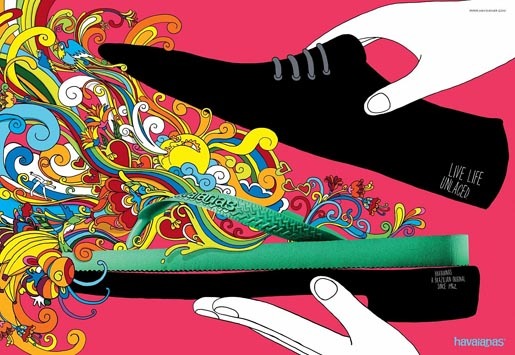 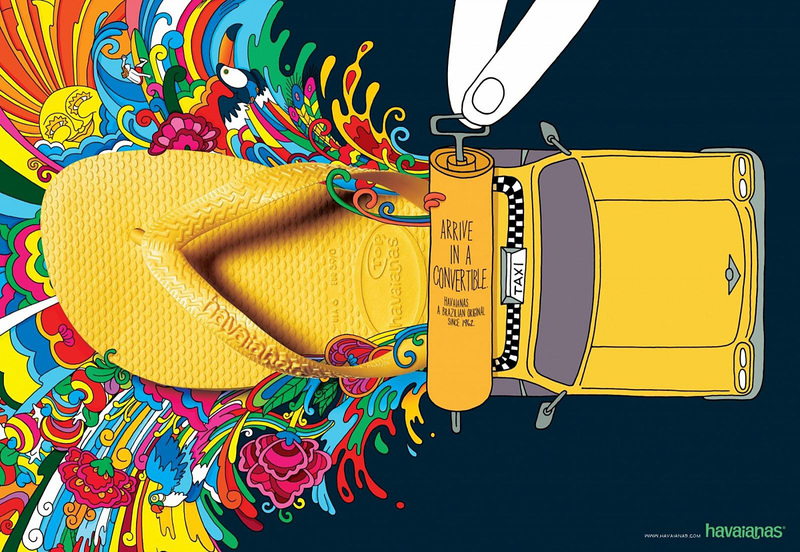 São Paulo Alpargatas in Brazil took the Havaianas brand into the northern hemisphere this year with a print advertising campaign featuring five illustrations: “Banana”, “Taxi”, ” Shoe”, ” Perfume Spray” and “Crank”. 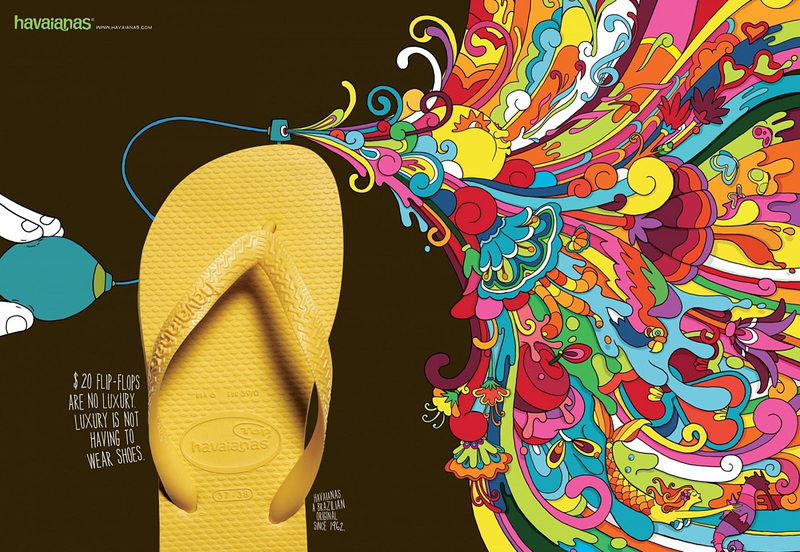 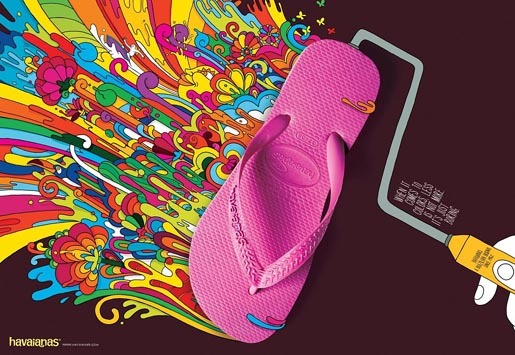 The print ads each use an object to reveal the beauty, freedom and fun associated with uncovered footwear. 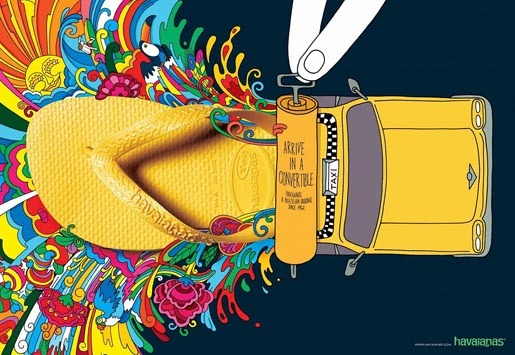 The Taxi ad, with the colors of New York cabs, was designed particularly for the US environment. The 2010 campaign was developed at AlmapBBDO, São Paulo, by executive creative director/art director Marcello Serpa, creative director/art director Luiz Sanches, copywriters Sophie Schoenburg and Marcelo Nogueira, art director Julio Andery, illustrators Daniel Moreno and José Cortizo Junior, photographer Hugo Treu, graphic producer José Roberto Bezerra, account team Cristina Chacon, Gabriela Manisck, Marina Leal, planners Cintia Gonçalves, Fernanda Barone, working with São Paulo Alpargatas director of sandals division Carla Schmitzberger.